This research does not describe every possible problem and/or solution available (obviously), but it might be some good food for thought. Whether a couple is already happy and functional or whether they are attached by nothing but a thread, growth is possible at any point on the spectrum. Do partners advocate for a healthy relationship? Advocacy for a healthy relationship. One misnomer for the “happy and functional marriage” is the “conflict free marriage.” This is not the case. As a matter of fact, talking through problems is a sign of health in a relationship. Basically, conflict is one model for working through the aspects of the relationship that could create resentment if not brought to the surface. If each partner is committed to making the relationship work for the betterment of each person, then arguments can be an effective way to correct the course and grow together as a couple. Maintaining Balance. Gottman and Silver describe many types of marriages, some that fight explosively and some that fight hardly at all. They say the key is this: “What really separates contented couples from those in deep marital misery is a healthy balance between their positive and negative feelings and actions toward each other.” The magic number according to his research is 5:1- five positive interactions for every one negative. The former focuses on an a specific action that is frustrating. The latter does multiple things that cause problems in the long run. Confirming this, Gottman and Silver outline four “horseman” that can indicate the demise of a couple’s relationship: criticism, contempt, defensiveness, stonewalling. Using the example above, if a person is critical and contemptuous when instigating conflict, then defensiveness and stonewalling are likely to result. So begins a vicious cycle. What is Your Current Conflict Style? Here is an eight question Conflict Style Quiz you can take, and here is the Key for the Conflict Style Quiz for the quiz after you have completed it. 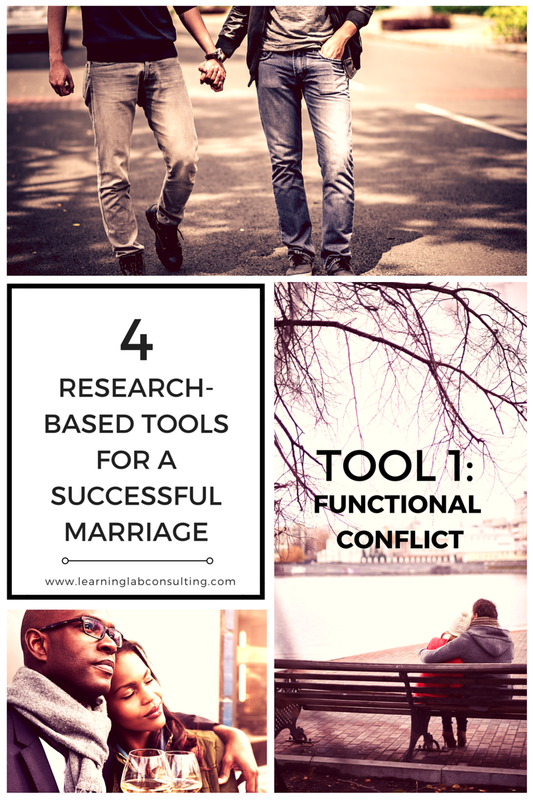 When I used these tools in my own relationship, we discussed the questions and results and looked at the criteria being evaluated to see where improvements could possibly occur. I hope these tools are growth points for you, or they affirm the good work you are already doing in your relationship! Were these tools helpful in building a dialogue? Please share your thoughts, ideas and connections. Tagged: marriage quizzes, Online quiz for couple conflict style, Research-based strategies for building a healthy marriage, What does healthy conflict look like in a marriage?, What makes a successful marriage?